The Travelon Anti-Theft Heritage Tour Bag is a bag made from durable cotton canvas with rich suede trim, matte nickel hardware and classic pinstriped lining. 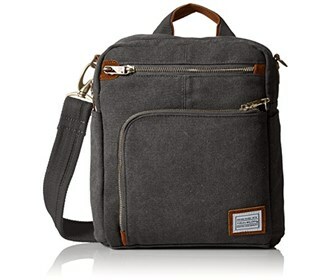 It has a Roomy compartment with a zippered RFID blocking pocket, and padded pocket to hold an Ipad or Tablet. Two easy access, locking front pockets and one rear zipped pocket are the perfect place for quick grab items. Anti-Theft features including slash-resistant construction, locking compartments, slash-resistant and locking straps will keep you and your belongings protected. The Travelon Anti-Theft Heritage Tour Bag has many exciting features for users of all types. You can extend the lifetime of your Travelon Anti-Theft Heritage Tour Bag with the purchase of a FactoryOutletStore Factory Protection Plan. See the Travelon Anti-Theft Heritage Tour Bag product video and gallery images above for more details. 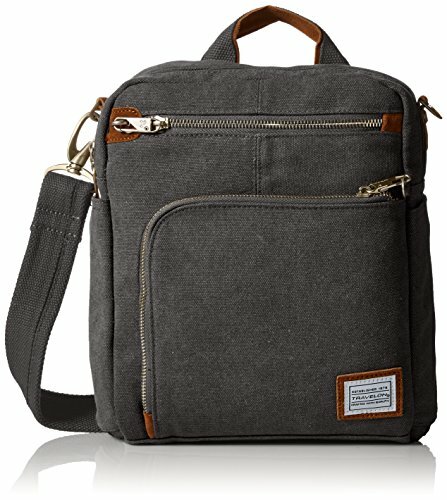 The Travelon Anti-Theft Heritage Tour Bag is sold as a Brand New Unopened Item.